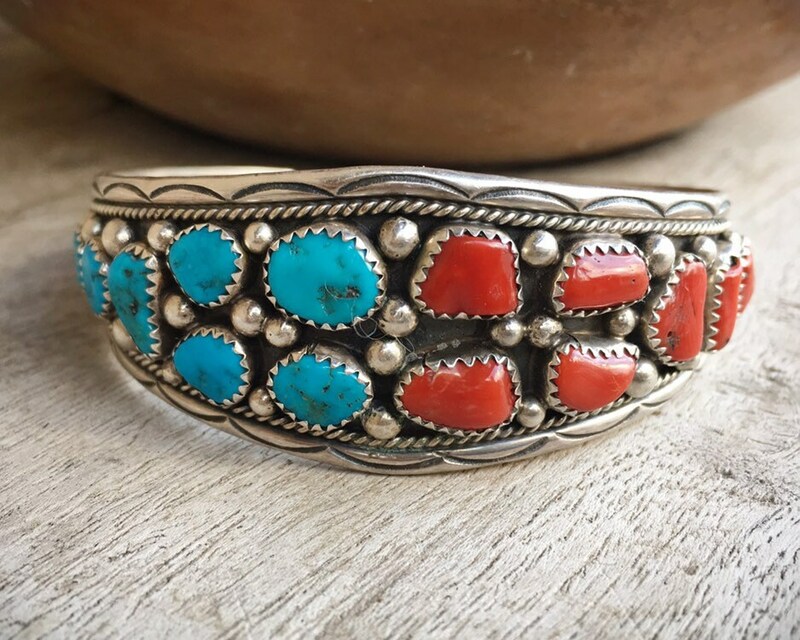 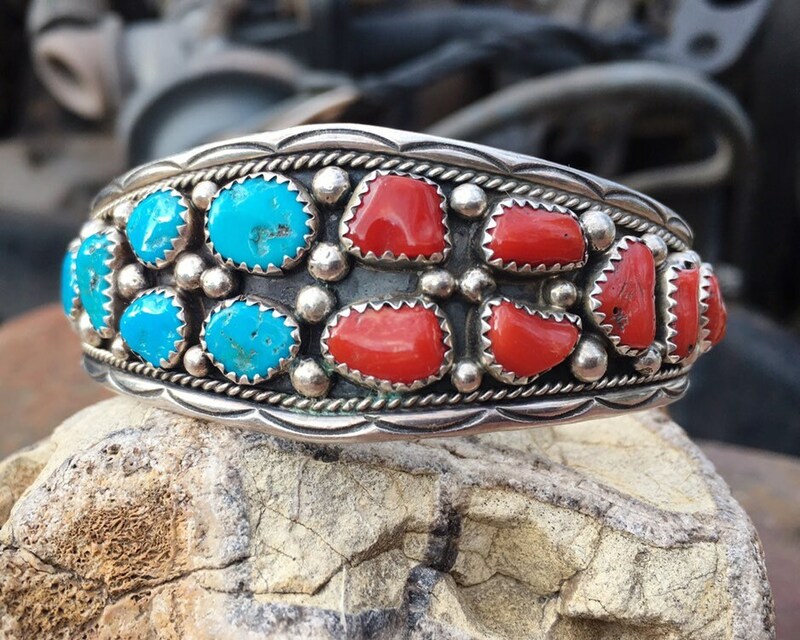 This vintage cuff bracelet is by Navajo Irvin Chee and features 8 turquoise stones and 8 pieces of Mediterranean coral. 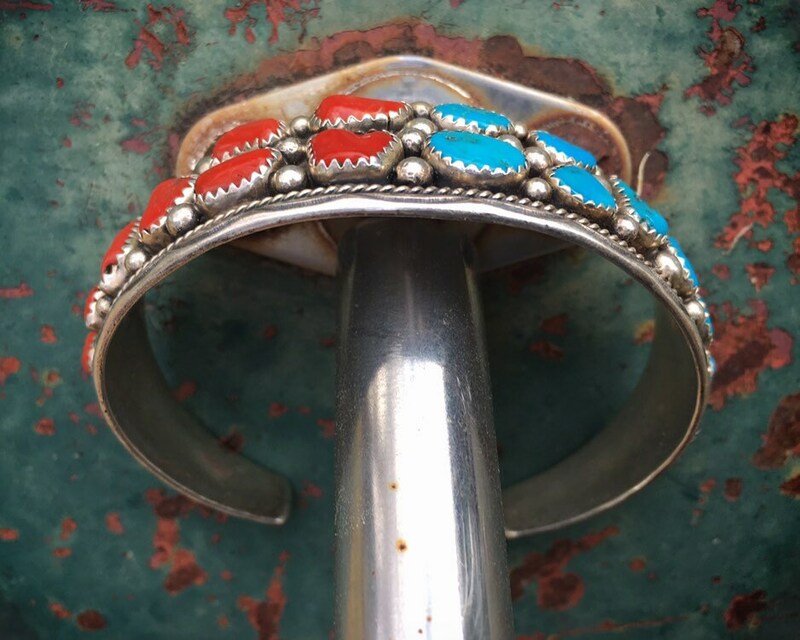 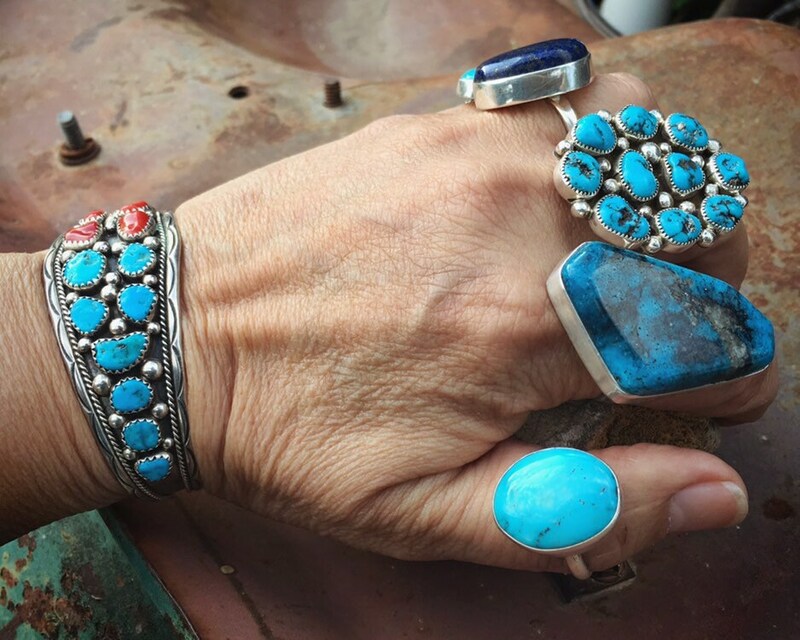 The piece is a traditional guard bracelet with a half-and-half style that makes it perfect for combining your turquoise and coral rings. 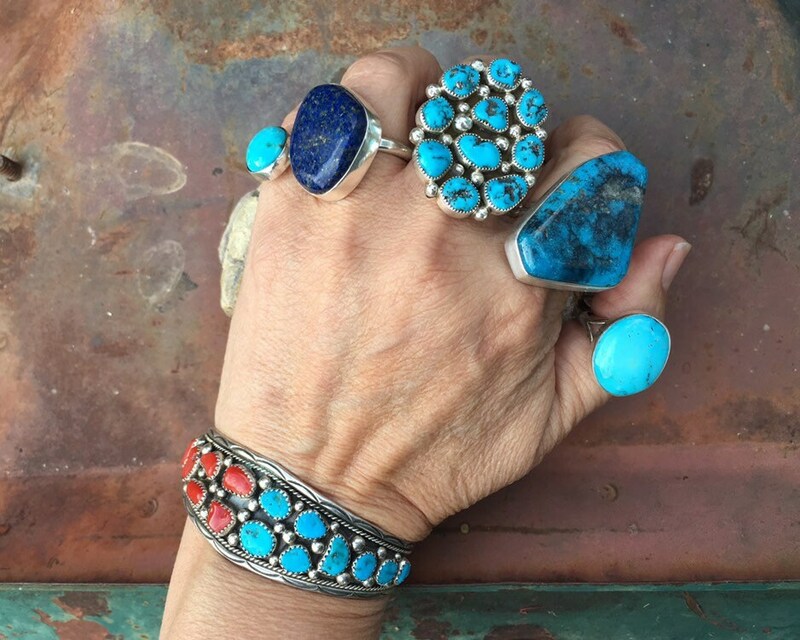 The turquoise stones are natural, and the coral pieces are also natural and quite large considering they are bits of the actual coral branch. 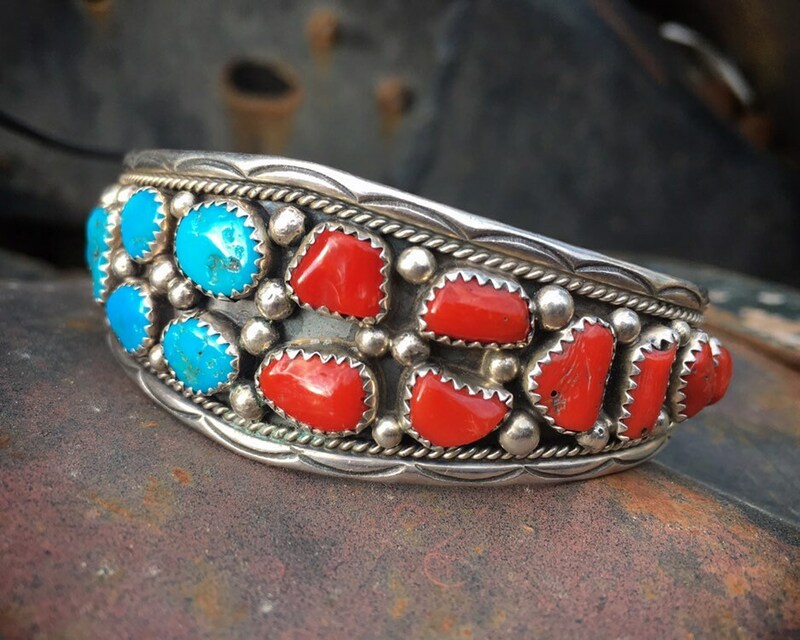 The bracelet is not very heavy, yet it is good shape and looks great on. 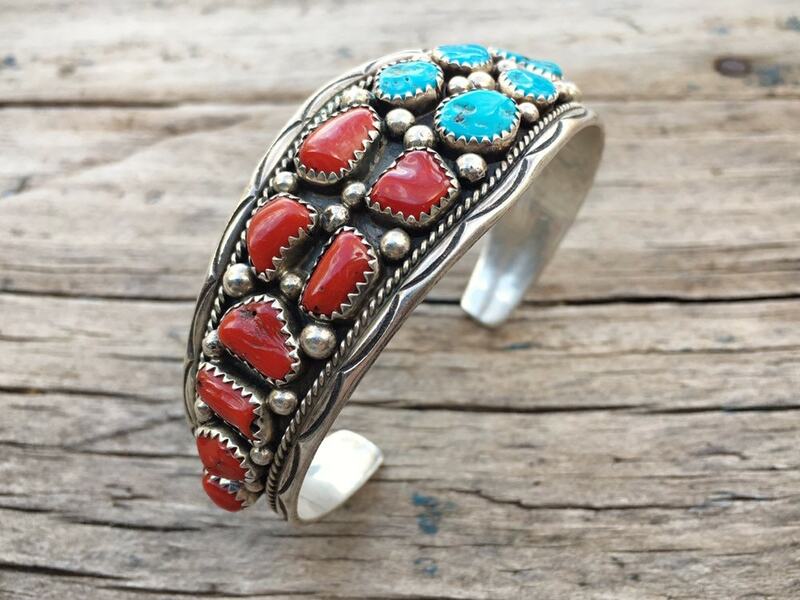 The size and style also make it a perfect unisex bracelet. 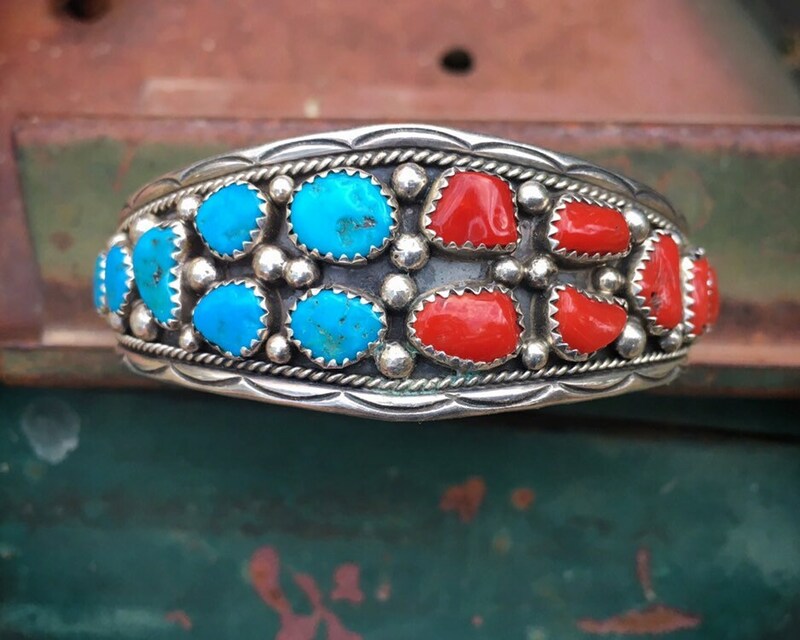 Taking a soft tape measure along the interior, the bracelet measures 5-3/4" around plus 1" gap for a total of 6-3/4" and because it is formed a bit wide versus round, it may even fit a wrist a hair larger. 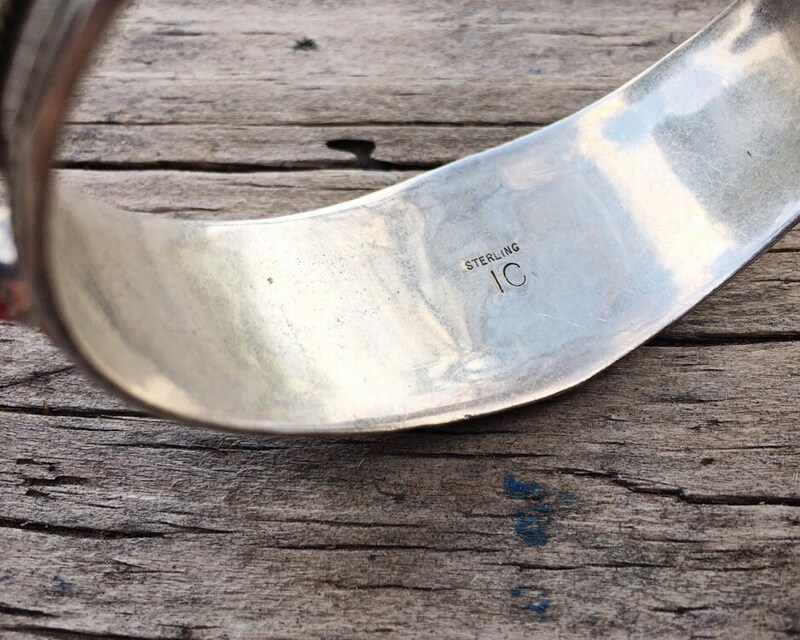 Bracelet face measures 1" at the widest point.